Cordillera - An honest man from Mountain Province returns money worth 112,000 pesos he found at the Natonin landslide during the retrieval operation of victims caused by typhoon Rosita. 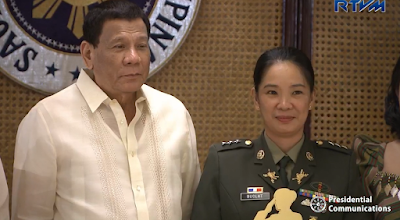 Benigno Sayaan Kiswong, a residence of Natonin who volunteered along with policemen, army personnel and government officials in the retrieval operation found the cash and turned it over to authorities for safekeeping. In a Facebook post by Lyn Kiswong Afig, daugther of Mr. Kiswong she expressed her praises and appreciation of her's fathers's noble act. "God fearing, honest and trustworthy. I'm proud of you daddy Benigno Sayaan Kiswong," Afig wrote. 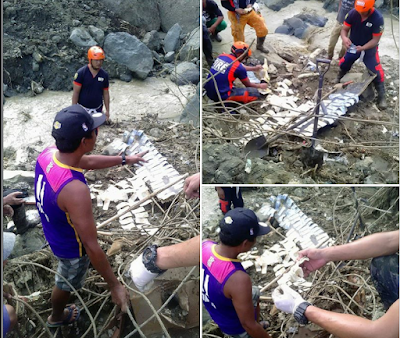 "Siya po ay isang nakatulong sa landslide sa Natonin, Paracelis, Mt. Province. Siya po ay nakahanap ng malaling halaga ng pera, worth 112K. I'm proud of you daddy. God be with you and God bless always," she added. Mr. Kiswong was said to be among those who volunteer their time and energy to help in the retrieval operation of the victims of typhoon Rosita. In desperate times when money is involved, people tend to compromise or do unwise decisions then worry about the consequence later. Mr. Kiswong however, prove that in life, money is not everything. He is indeed a God fearing, honest and trustworthy man who believes on the "You don't keep what's not yours" principle. At least 15 people were killed in three regions in Luzon, including nine in Natonin. 26 people are still reported missing in the town. Very proud of you kailyan. God bless you! Yan ang Igorot, always honest. That's right, money is not everything, but the good values you portray is.